Give Your Motorcycle An Unique Identity With Our Custom Motorcycle Flags! ●	Show off your identity on the road with our custom motorcycle flags. You can customize it with your favorite design or slogan to support your sports teams and highlight your hobby or club. Grab everyone’s attention when you are on the move. ●	Promote business, social events, graduations and more! We allow you as creative as you can, print your company logo, events images or special message on our custom flags. Grab a lot of eyeballs for advertising, brand, service, and special occasions. ●	Show your pride of your country. 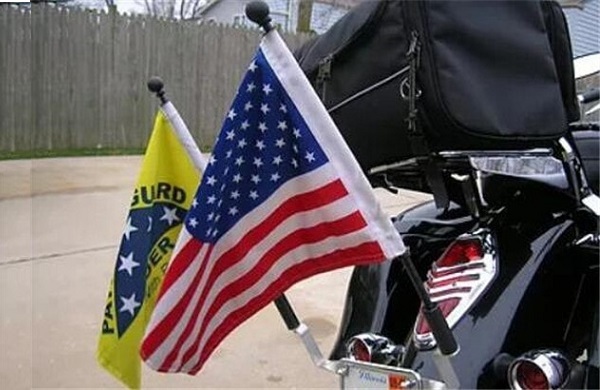 Custom country motorcycle flags is a great way to show your patriotism, peace and international friendship. High quality country flags or state flags we make for your motorcycle, can last and keep for years. 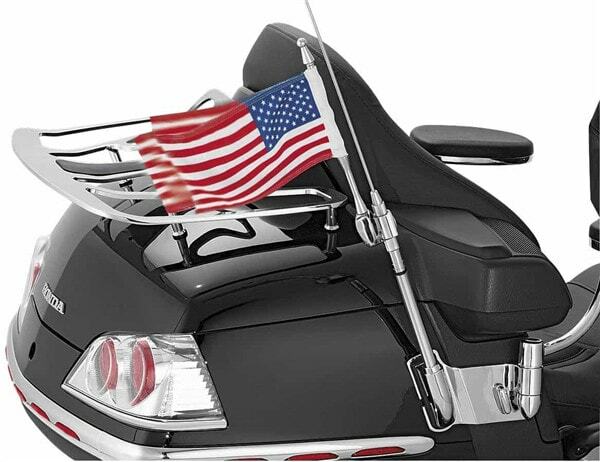 Easy to set up on your motorcycle antennas or luggage rack. 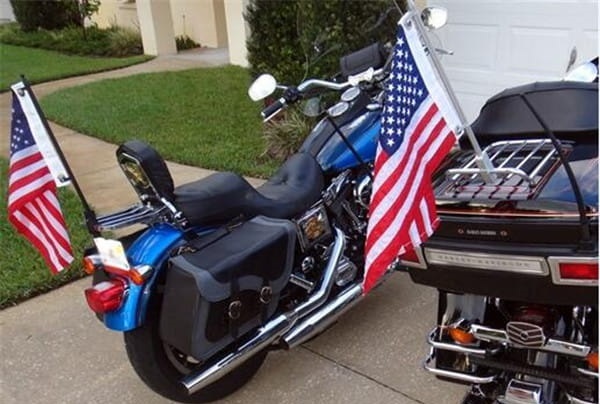 We offer high quality flag banner, flag pole and flag holders for your motorcycle, durable enough to withstand highway wind speeds. ●	Heat transfer printing in full color: in this printing process, the ink is directly printed onto the flag and the vibrancy of the colors will be locked, the finished motorcycle flags will be outstanding and colors will not fade. What’s more, this process allows you to chose as many colors as you desire, including complex transitional and gradient colors. 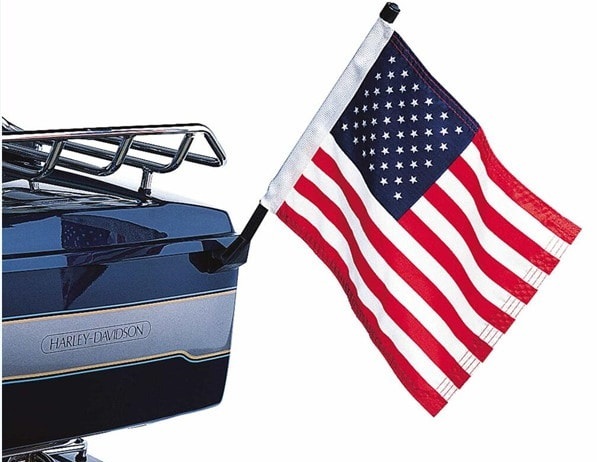 ●	Sturdy double sided: each flag is laser cut and then sewn two flags together in stable lines. 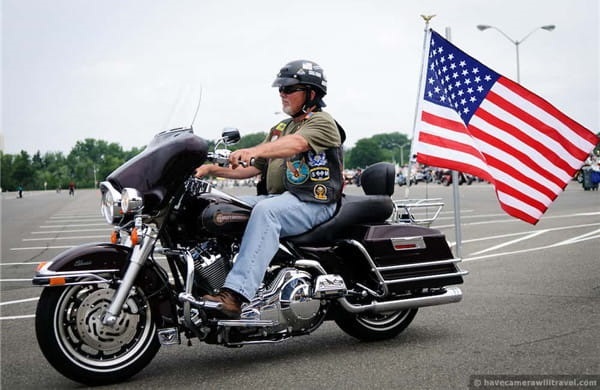 Guarantee our custom motorcycle flags are more resistant to wind, will not damage or peel when you are in high speed. ●	Grommets or flag sleeve: both are available, we can accommodate to your needs or requirements. Quick response to any feedback from you, feel free to contact us and get a good quote. During anniversary celebration time, all motorcycle flags are running a discount price, the same good quality, the lowest price in our company history. We are ready to serve you here! 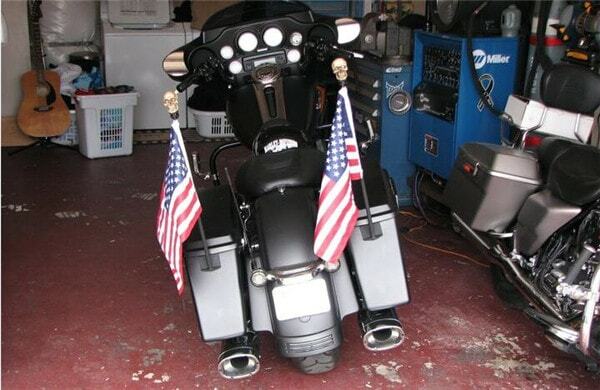 It displays great on my motorcycle, great fabric and quality holders. I love driving with my Custom motorcycle flags cheap, so cool and attract people’s eyes. Fantastic! I Custom motorcycle flags cheap on the antenna, durable and safe to put it on. Price is really good for this quality. Thank you. Love the Custom motorcycle flags cheap, they came in well packaged and quality is so great. Take 10 minutes to put them on my motorcycle, so far so nice. 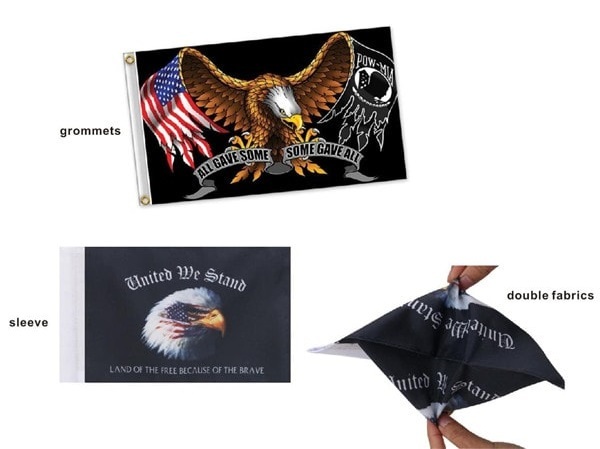 I have ordered this Custom motorcycle flags cheap for replacement of my old one, and a new Custom motorcycle flags cheap came together. This would be a new addition to my driving. Custom motorcycle flags cheap, and I love the bracket just fit my motorcycle. Easy to mount and drive safely. Nice Custom motorcycle flags cheap, everything is perfect for display, hope they can last a longer time than my last one. This website is easy and friendly to use, very clear and understandable. 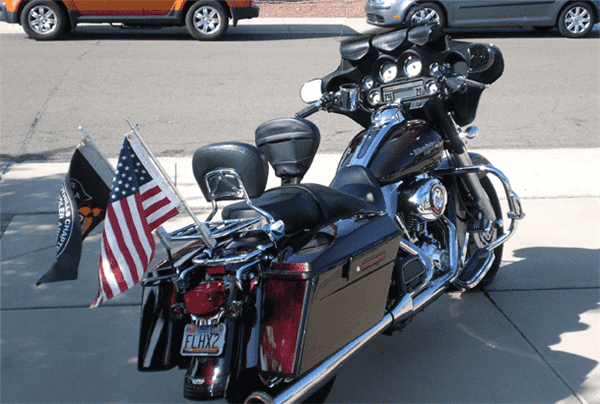 I am happy with the motorcycle flag holders wholesale and your great customer service. 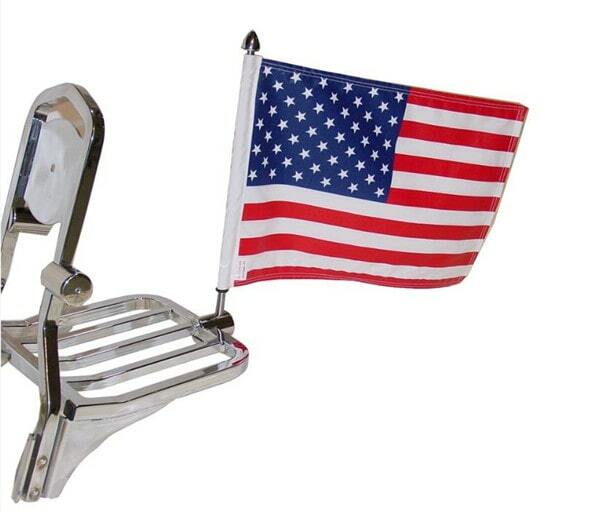 Awesome printed motorcycle flag holders wholesale! I love my logo on it! Decorating my tables excellent and professional, would order more motorcycle flag holders wholesale from you and recommend to others need similar items, thanks! 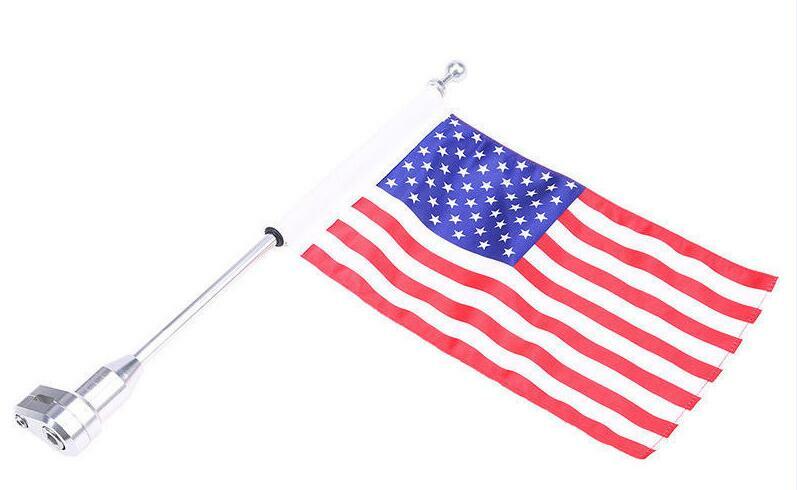 Wonderful motorcycle flag holders wholesale, you done a great job. Well printed, outstanding design color, they are really the best motorcycle flag holders wholesale for motorcycle flag holders wholesale. I will send you pics soon! I write this comments on your customer service. Quick response to my email and professional advice to make my order go easy. 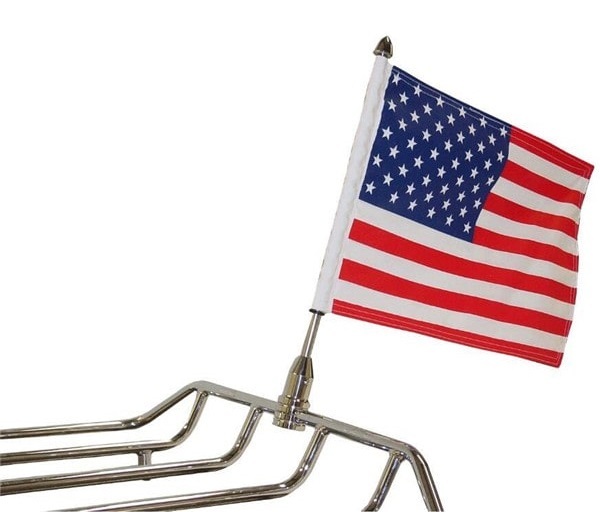 The exhibition motorcycle flag holders wholesale are out of my expectation, thank you very much. I highly recommend ckflag to custom display motorcycle flag holders wholesale. The price is really good, the customer service is really awesome, the quality is really good, and the delivery is really fast. 5 stars!